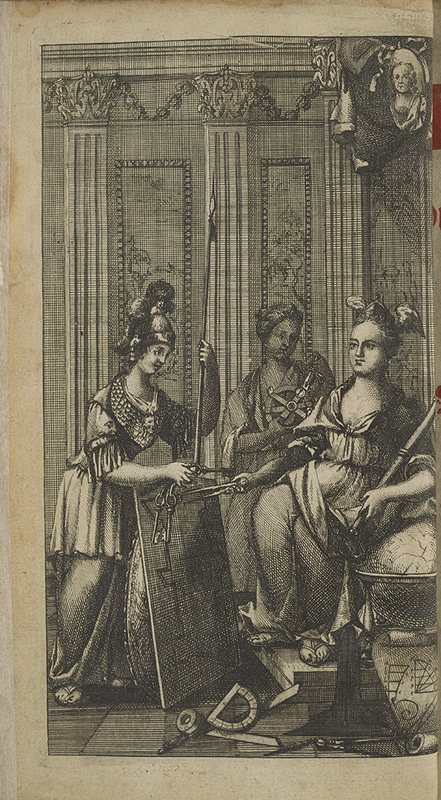 This rather fanciful frontispiece depicts an aloof goddess of mathematics, attended by two assistants. The goddess wears a winged hat/crown. 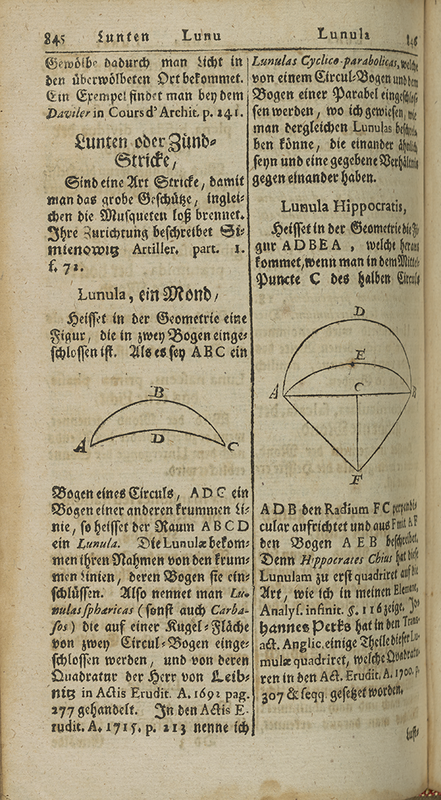 One assistant seems to offer assets of keys, perhaps indicating mathematics as “keys to wisdom.” The other assistant holds an astrolabe. 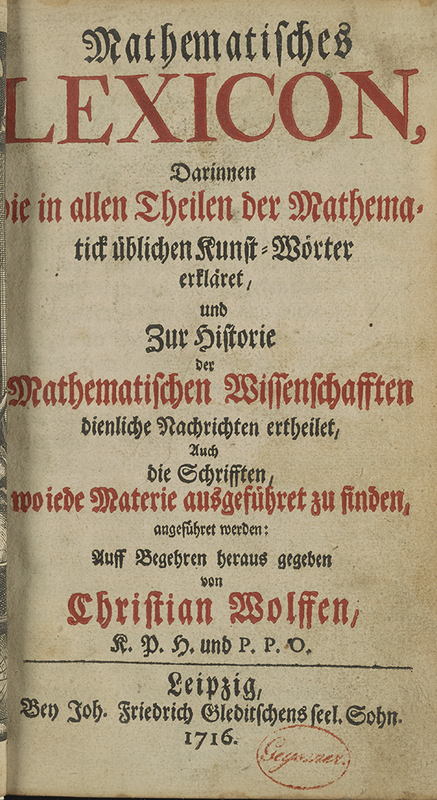 The floor on the foreground is cluttered with mathematical instruments. The entries on page 845 discuss geometric lunes. The “Lune of Hippocrates” is singled out for special consideration.